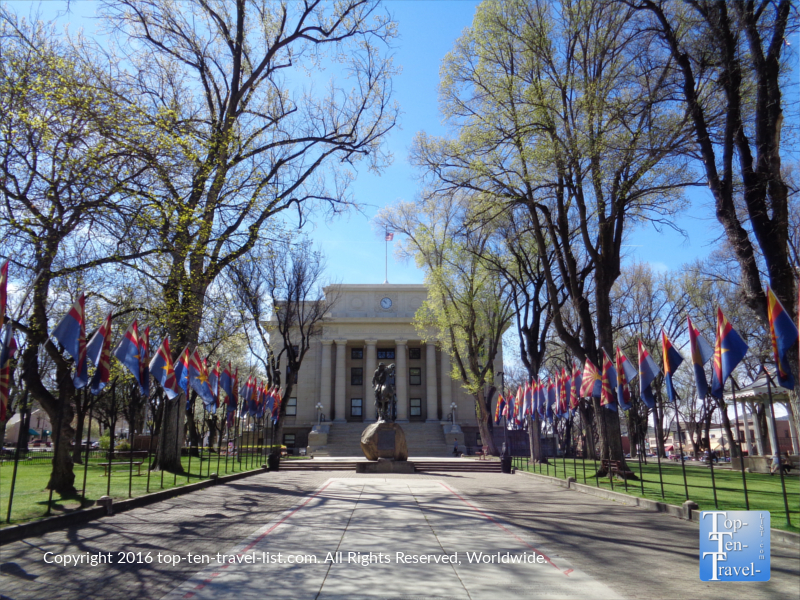 19 Must-Do's in Prescott, Arizona - Top Ten Travel Blog | Our experiences traveling throughout the US. 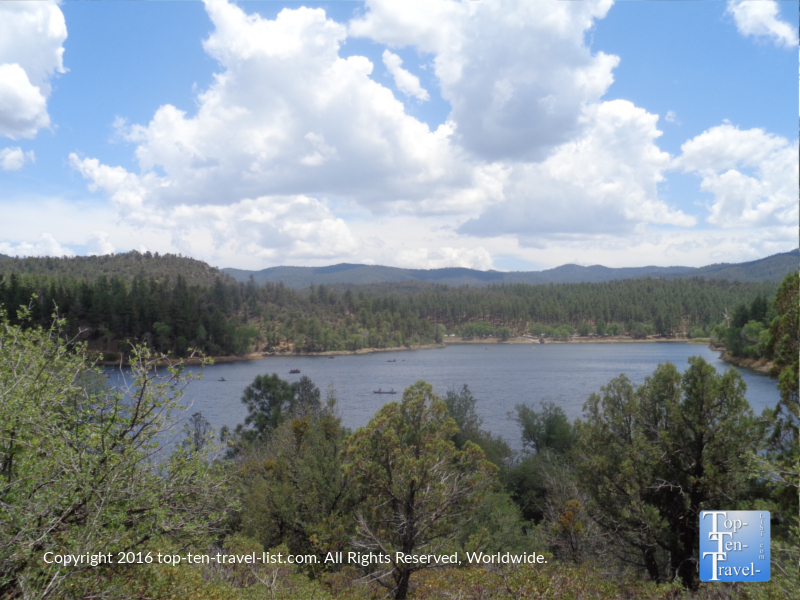 Prescott is a small community in North Central Arizona, often overlooked due to more popular regional destinations like Flagstaff, Williams, and Sedona. 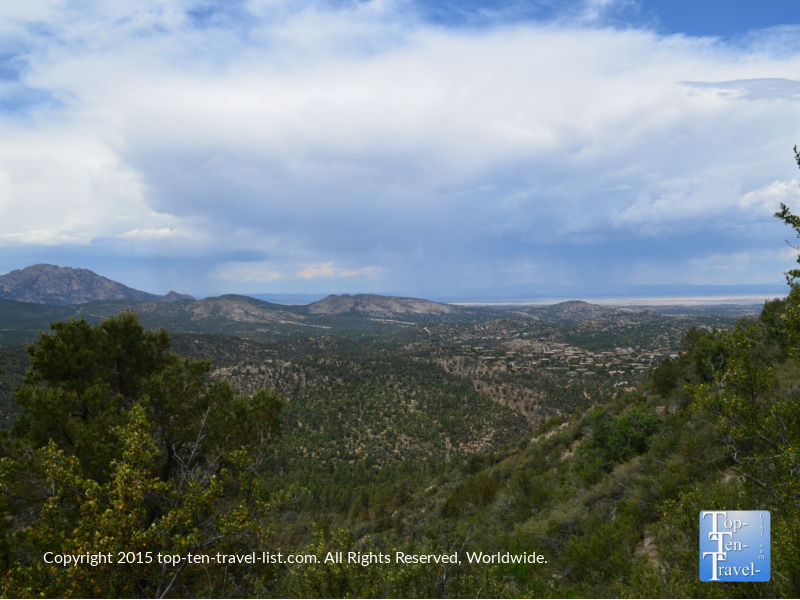 Although Prescott neither offers the spectacular red rock scenery of Sedona, nor Flagstaff’s close proximity to the Grand Canyon and other natural wonders, Prescott does offer a number of its’ own great amenities. A charming downtown, a laid-back old west ambiance, great local restaurants & shops, and one of the state’s most spectacular holiday light displays are a few of the aspects which set Prescott apart from other Northern Arizona towns. Here are 19 fun things to do if you find yourself visiting “Everybody’s Hometown,” a slogan which was given to Prescott because supposedly every tourist can find something that reminds them of home here. Thumb Butte is the most scenic & rewarding hike amongst the dozens of trails available within the beautiful Prescott National Forest. 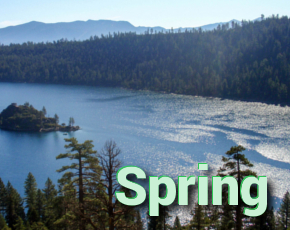 Prescott draws a number of fitness enthusiasts during the warmer season due to the plentiful hiking & mountain biking opportunities available within this high altitude forest. Diverse scenery including pondersoa pines & desert plants, the opportunity to see various wildlife (black bears frequent the area), and a nice challenging climb with unending overviews of the city and surrounding forests, make Thumb Butte the perfect choice for visitors looking for a moderate picturesque trail. Round trip the trail comes in at about 2 miles (with a steep 0.7 mile climb), and an elevation gain of about 1000 (5000-6000 ft). Prescott’s old-fashioned, wild west downtown is a favorite amongst Arizona locals. On any given weekend, you are bound to run into Phoenix & Tucson residents visiting for the day. Featuring the beautiful Yavapai County courthouse as the centerpiece, a row of old time saloons (Whiskey Row), unique western and cowboy themed shops, and western themed museums and art galleries, it’s quite a different atmosphere than any other downtown you will find across the state. Many of Prescott’s buildings date back to the 1800’s, with a handful earning a place on the National Register of Historic Places. The Palace saloon opened back in 1877, making it the oldest in Arizona. 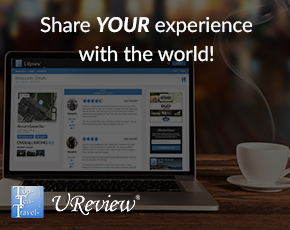 Plenty of local restaurants and shops will keep you busy for several hours. In addition, weekends throughout the year you will find all sorts of events going on nearby the courthouse grounds. Must try restaurants include Papa’s Italian and Rosa’s Pizzeria. Whiskers Barkery is one of the top pet shops in the area, so if you are looking to treat your furry friends you must plan for a stop (the peacock feathers are a real hit with the cats!). If you like history museums, check out the Sharlot Hall Museum. Willow Lake is one of 3 lakes in the Prescott region. This one is a particularly nice option for any day trippers as it is located adjacent to the zoo, so you can combine both activities for a nice little spring or summer day out in nature. The trail around the lake is about 6 miles and completely flat, making it a nice choice for a non-strenuous stroll. Because of the flat terrain, biking is another fun option, especially for those of us who prefer flat trails as opposed to mountain biking. Birdwatching is a popular past time here, as well as boating and kayaking. Pack with a picnic lunch and enjoy the pretty desert scenery! 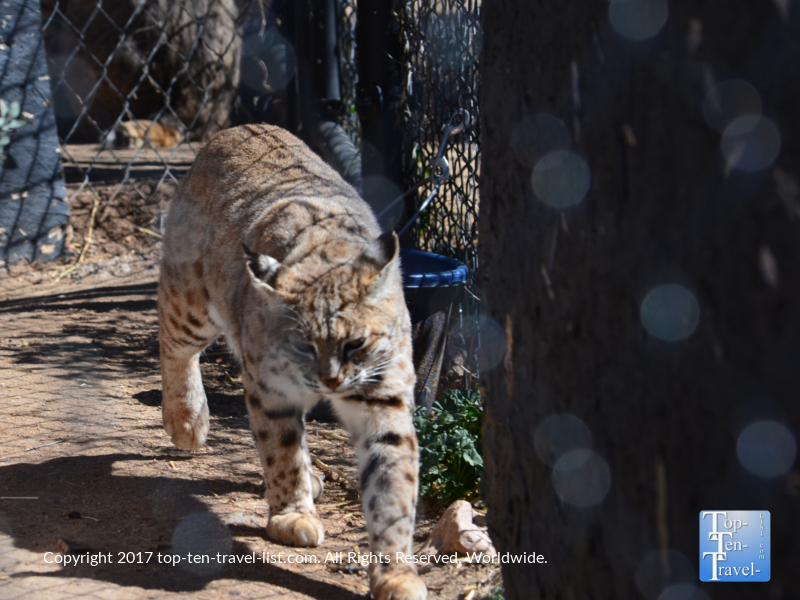 Although quite small and a bit pricey, this non profit zoo is worthy of a visit for the nice walkability, pretty views of the surrounding lake and desert (bonus – on a clear day you can see the San Francisco Peaks in Flagstaff), and convenient proximity to Willow Lake. 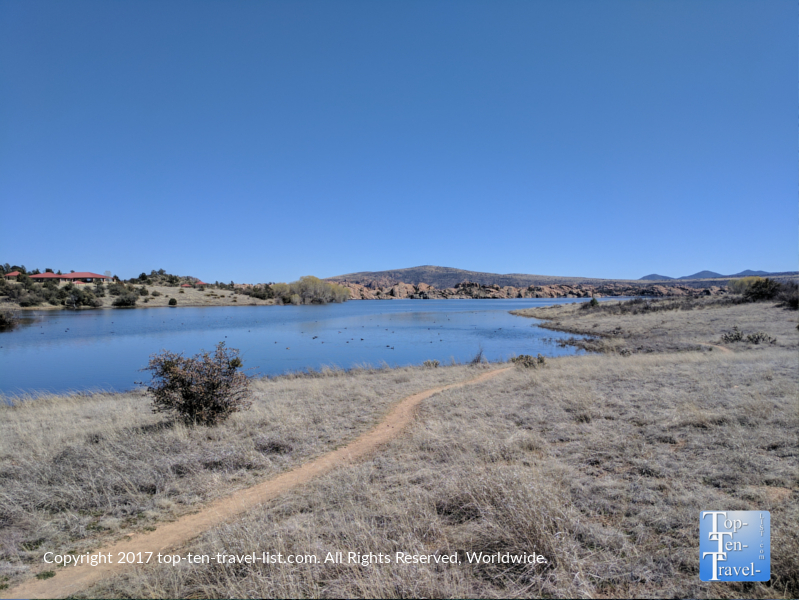 Overall, an hour or so strolling around Heritage Park is a great way to spend a spring or summer afternoon in Prescott. And be sure to check out the annual Zoo Lights festival if your planning a holiday visit! Prescott is home to the best selection of Italian restaurants in the northern portion of the state. 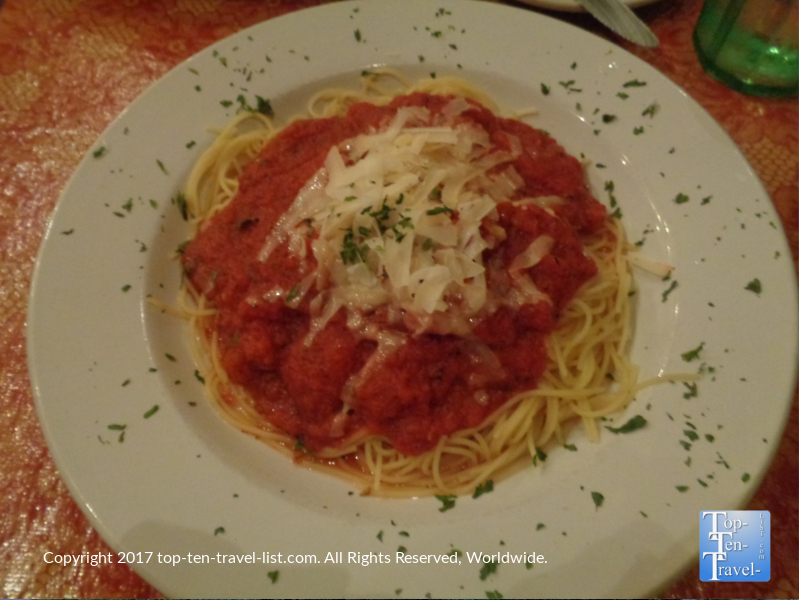 Sadly, more touristy areas like Sedona, Williams, and Flagstaff offer very few choices in terms of Italian dining, and most are overly touristy and overpriced. Prescott’s Italian restaurant scene in comparison feels more authentic with a great local vibe that you do not find in these more touristy Arizona towns. Rosa’s Pizzeria and Papa’s Italian both feature delicious food and a lively ambiance. Both of these restaurants are popular downtown hotspots so make a reservation to avoid a lengthy wait! The Peavine is one of the few remaining rail trails in Arizona. While these former railroads-converted-into-bike paths are very popular in the Eastern US, unfortunately they are few and far between in the Western states. For anyone who enjoys a nice leisurely bike ride along a paved path as opposed to a rough mountain biking adventure (although there are plenty of mountain biking opportunities within the Prescott National Forest for those interested! ), the Peavine is for you! 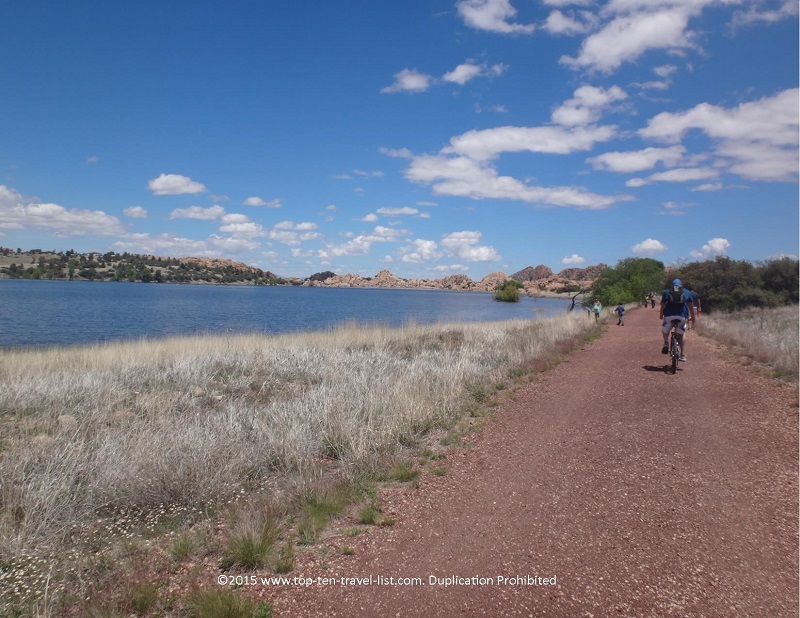 Prescott’s gorgeous 5.5 mile out-and-back trail is not limited solely to bikers as joggers and walkers will also find the path peaceful and picturesque. It’s by far the best place in town for a scenic long run – and perfect for marathon training!